Munich - Not for the first time in their illustrious 113-year history, FC Bayern München can etch their name into the Bundesliga annals with a positive result against FC Augsburg in Saturday's Bavarian derby (kick-off 15:30 CET). The Bundesliga leaders are unbeaten in 36 league matches since losing to Bayer 04 Leverkusen on 28 October 2012 and now stand just 90 minutes away from supplanting Hamburger SV (1982/83) as the German top flight's new breed of 'Invincibles'. For head coach Pep Guardiola, though, all the talk of historic best marks is merely a subplot to another pivotal afternoon in the Catalan's quest for Bundesliga honours. "We have to play well," he told journalists at his customary pre-match press conference on Friday afternoon. "If we do that, we have a great chance of winning. That's what's most important." In recent weeks, the end result has certainly taken precedence over the matchday aesthetics, with the Bavarians being made to dig out winning performances after falling a goal behind to 1. FSV Mainz 05, Hertha Berlin and most recently away to 1899 Hoffenheim. "We have to improve," Guardiola affirmed after firing off a tongue-in-cheek suggestion that he was to blame for his side's recent toils. "We've always been the better side in our last few games. It's a demanding job. I always want the best. We were only second best in the first game [of the season] against Gladbach." Guardiola is nevertheless quite happy to see the Bundesliga's chasing pack giving the league leaders such a good run for their money. "[Crashing the party] is a great motivation for our opponents," he continued. "It only helps us when they try to mix it at our level. I'm still getting to know my team, so it's always good if the opposition are pumped up [...] Augsburg have a great engine, they use the flanks well and are aggressive, but I'm sure we'll play well tomorrow." Bayern's preparations for the visit of the 13th-place west Bavarians have been dealt a blow following news of a long-term injury lay-off for Bastian Schweinsteiger, which could see captain Philipp Lahm again take on holding duties in the centre of the park. In-form Mario Götze is another option going forward, while Mario Mandzukic will almost certainly feature at some point over the course of the contest. "He is important for us," Guardiola said when asked to clarify the role of the club's leading marksman. "We have never played with a false No.9. When Thomas Müller plays up front, it is as a striker. 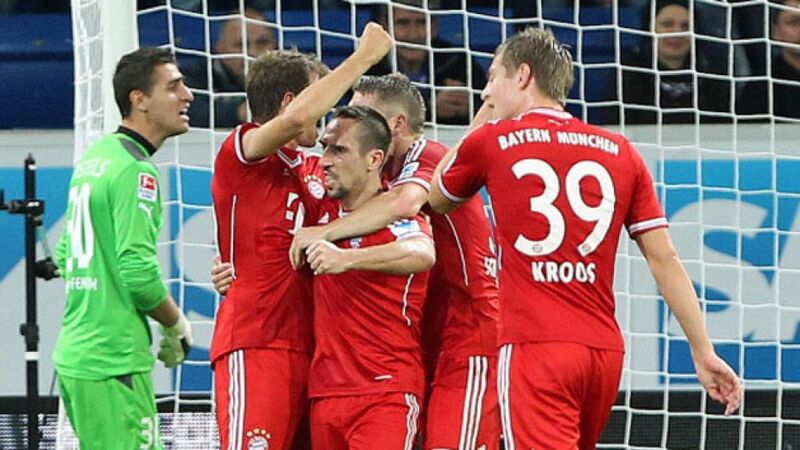 When Mario plays, it's as a striker [...] 'Does playing this way suite Bayern best?' So far, absolutely. These players are really good in central positions. We have to make use of them. We are better with an out-and-out striker. We've found our Plan B."